WorldMovieStore - The Thing Sinopsis. Mary Elizabeth Winstead plays Kate a paleontologist, brought to Antartica to help in bringing a frozen "thing" out of the ice. The question throughout the film is- who is human? The examination of a consumed human within a thing is creepy. The star of the movie is definately Winstead, although the cast is collectively good. The casting was very good for a film that mixes characters from different countries. Great work here. Great action throughout the movie- you won't be disappointed. "Thats no dog!" The film used practical effects as much as possible over CGI. The movie was shot in Toronto. The lead character of Kate was inspired by the Aliens films, which you feel a little watching the film. Read More Sinopsis. 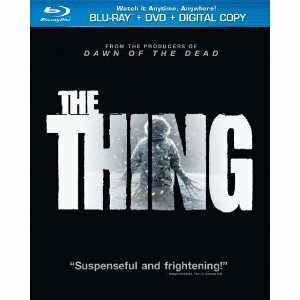 0 Response to "Blu-ray Release The Thing"